Metaverse is 20 years old! I've been doing this since 1996, when some of you were probably toddlers. I actually forgot about this, but alert reader Raphael reminded me. So I decided to celebrate by doing a redesign of the front page. I attempted to reduce the scrolling by using dynamic content; hopefully it will work on everyone's browsers. And I wrote this page. And I created an explosion of content! Women in Comics - Over 300 names! Give me more! 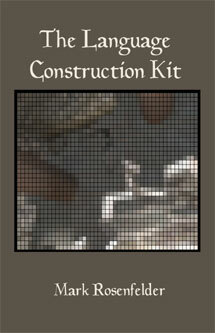 The China Construction Kit is here! Going forward, the Recent tab (under “Read all the things”) will have the last year or so of new pages. To make room I've also removed some very old pages. I doubt you were reading them, but you can always ask to get them back. What's next? Twenty more years, I hope. After that comes the Singularity, and our new computational overlords will probably not care about comics and puny human languages. Bitten by a radioactive web page, I was compelled to make a page of my own in about March 1996. The earliest version the Wayback Machine has stored is from June 1997. There was already a fair amount of content! Here is the earliest capture of zompist.com, and here's one from 10 years ago. Web designers will note that I pretty much haven't learned anything since. I have been slowly adding Unicode support and CSS. I also still have the '90s idea that a person should, well, have their own interesting website. For day to day editorializing, book reviews, and general great thoughts, I've moved to Wordpress. It's tedious to do all the updating and linking for just a few paragraphs. But when I have a lot to write and it seems of permanent interest, I still put it up on the mothership. Back in the '90s, I used to look for links to my pages. Mostly this would be the name of the page and a link… this is what most people's web pages looked like in the '90s, a long list of unannotated links. But sometimes they'd say something about me. Googling “zompist” today is a little tedious… I'll mostly find references I've already seen, then the same things copied on a bunch of sites, then some outright plagiarism. So that's depressing. Googling my name, I learn that there's another Mark Rosenfelder in Texas. Man, he must hate googling his name. Bored reporters have sometimes run across one of my pages, so my site has been mentioned in Le Monde, 21 fév. 1998— that would be in France— and in Il Corriere della Sera, 8 Marzo 1998. Both articles focused on my grammar of Syldavian, but Le Monde also admired Virtual Verduria, whose futilité absolue it found not without charm. The Chicago Tribune found me in 2004. Wikipedia found a few more. If you're still reading, you may wondering about me. Tall and devilishly handsome, I spent about thirty years in programming. Here and there on the site you can find references to the projects I was working on. All this time I've lived in Oak Park, Illinois, except for three years when I lived in Quincy, Massachusetts. I lost my last programming job at an unfortunate time— at the height of the recession, with unemployment rising to 9.6% and middle-aged programmers in low demand. So what the heck, I figured I should take the opportunity to write a book-length Language Construction Kit. It took a few more books, but now I can say that I'm not “a hobbyist” but rather “self-employed”. Just barely, maybe, but I can be frugal. At this point I've sold more than 18,000 books, which is not bad for a writer. About 8,000 are copies of the LCK. The nicest thing is that in quite a few places now, my books have been used in linguistics or conlanging classes. I don't always hear about this, but sometimes the professor contacts me, and three times I've gone to visit classes. This professorial thing, I can see the appeal. Talking about languages all day is a lot of fun, when people are interested. I used to keep track of search strings people used to find my pages, because they were kind of amusing. Sadly, my ISP doesn't provide this anymore. Here's the older version of this page, which contains those search strings, traffic figures from 1999, the time I got published in The Journal of Irreproducible Results, and more.